Pence continued that “the President of Honduras told me this was organized by leftist groups in Honduras and financed by Venezuela.” The vice president’s comments come after a Monday tweet from Trump on the ongoing caravan. “In 2017 alone the U.S. apprehended on average 10 suspected terrorists a day attempting to enter the country illegally. And those are just the ones that we catch. It’s inconceivable that this caravan – which is being broadcast around the globe – hasn’t already been infiltrated by individuals with ties to extremism, Vice Presidential press secretary Alyssa Farah said in a statement. 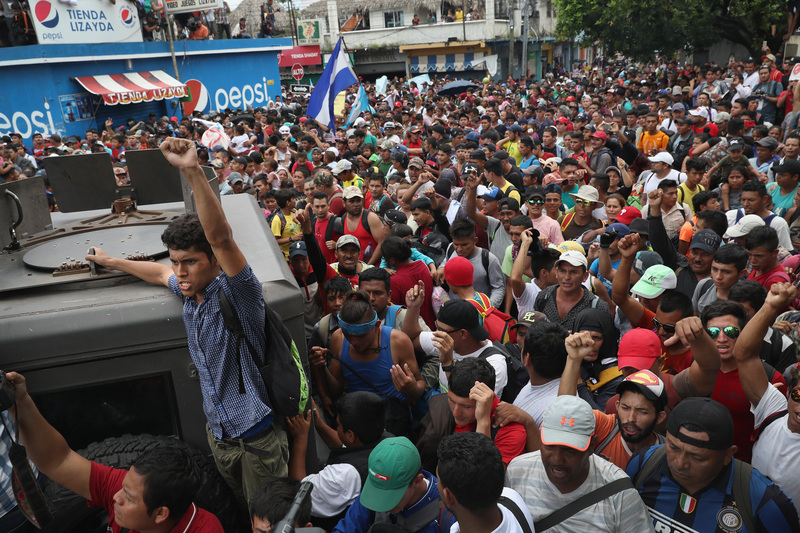 The caravan reportedly swelled to nearly 5,000 people as it entered Mexico via Guatemala. The majority of the caravan consists of Central Americans who wish to gain entry to the U.S. by claiming asylum upon arrival.